Denny Jump (Bellevue, WA, United States) on 1 June 2017 in People & Portrait. it's her Birthday today, June 1. This image is one that I shot of her and our two Grand Daughters while we were visiting a few weeks ago in California. 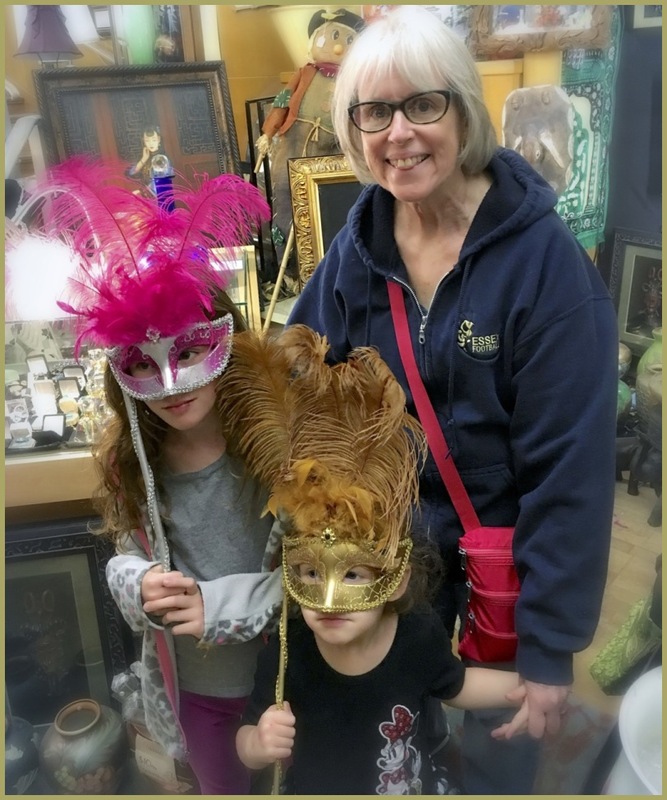 The girls were trying to look serious with the masks on while we strolled through an old antiques store in Vallejo, California. Who are those masked girls? ;-) Nice shot of the three. Happy Birthday to Barbara! @Darkelf Photography: Thanks so much to you and Paulina, Maciek!! Cheers! !